Comedy, musical La La Land goes straight in at number one but fellow new release The Bye Bye Man only lands at eight. It’s even worse new for Kate Beckinsale’s new film, Underworld: Blood Wars which fails to make the top 10 and enters at number eleven with £349,301. Although to be fair it only released in 260 cinemas as opposed to say The Bye Bye Man’s 291 or La La Land’s 606 so it’s all relative. 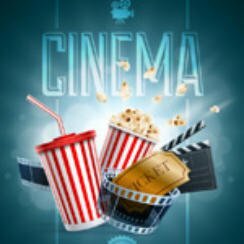 Don’t forget to check back on Thursday as we go through all of the weeks new cinema releases, along with their film trailers.